Head on over to app.sked.link. Enter the email you’d like to sign up with. You’ll now need to enter your Instagram username, without the @. Once done, click add. After a few seconds, you’ll be redirected to your very own Sked Link dashboard. This is where you’ll be able to set up and customize your personalized Sked Link. All changes made are automatically saved and will show up in the draft preview on your right. If you’re happy with the outcome, go ahead and click publish. We’d recommend visiting your Sked Link to ensure everything looks right and the links are set to the appropriate web pages. If you’re managing multiple Instagram accounts, that’s not a problem! Using the account selector displayed in our dashboard, you’ll be able to swap between the accounts you’d like to manage or add new accounts. Your Sked Link dashboard consists of three main sections - build, design and integrate. All of which come in very handy to create that killer Sked Link for driving more traffic, sales, newsletter sign-ups and opportunities. This particular page is built with you in mind. At Sked Social, the founders behind Sked Link, we like to keep things simple for our users. The first section you will find on this page is the introduction text. Enter the information you'd like to show under your profile here. We’d recommend something catchy and straight to the point. Next up is the button section. This is where you’ll enter your multiple Instagram bio links. At Sked Social, we like to feature our best performing and most interesting blog posts that our audience will gain tons of value from. Adding a new button is very easy. Just click “Add” in the buttons section. 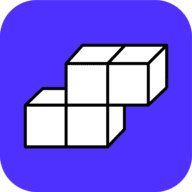 This will create two boxes as shown above—a description and a URL section. 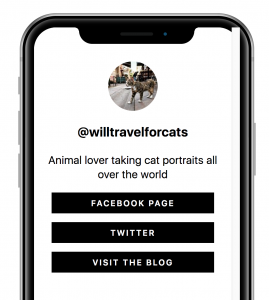 Enter your multiple Instagram bio links here. As a best practice, we would recommend adding tracking links to track which links generate the most clicks, helping you decide what to replace the least performing with. 4. Copy the key and paste it in the Sked account ID section in Gallery and hit save. Your Instagram gallery will now appear on Sked Link. On the Sked Design page, you will be able to completely customize the Sked Link look and feel. 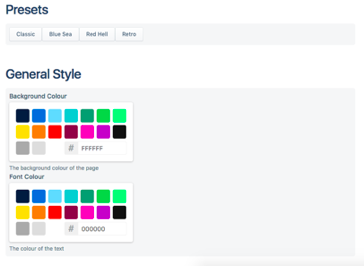 Select from existing presets or customize the background and font colors from the palette or add your own hex color codes. Sked Link Design doesn’t stop there… We also give you the ability to customize the styling of the buttons. This includes choosing a color for your border, font, background and box shadow. Lastly, if you’d like to include custom CSS, we’re excited to say that’s also possible using Sked Link. One of Sked Link’s best features is the ability to add your Facebook Pixel and Google Analytics ID on your personalized Sked Link. This is fantastic for remarketing purposes and tracking the traffic you’re attracting to your Sked Link directly from Instagram. Remember, any changes you make whilst editing the Sked Link are saved automatically as drafts. If you’re happy with the outcome, don’t forget to press “publish” to push your changes live. You can view what your Sked Link looks like by clicking the “Preview” tab. 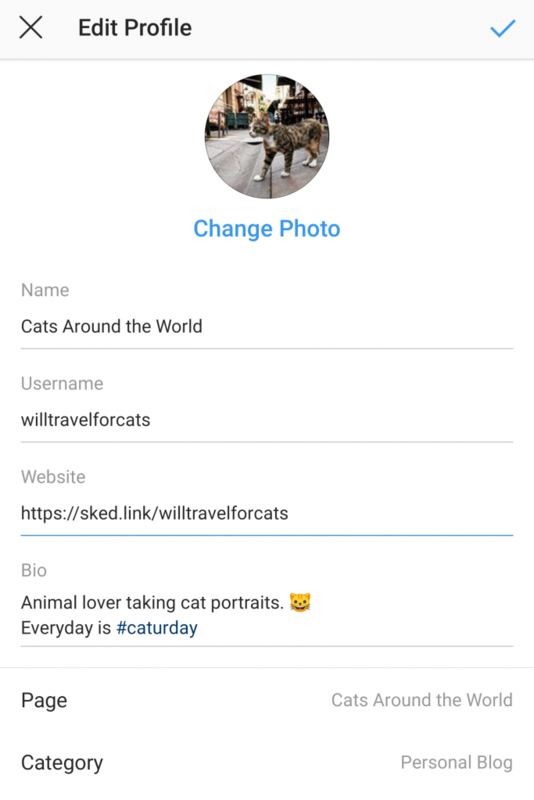 After publishing your Sked Link, grab the URL and add it to the website field of your Instagram Bio. And that's it! You're all set to use Sked Link, add multiple links in your Instagram bio and engage with your audience. Wave goodbye to those alarms and reminders for updating Instagram links manually, and turn to Sked Link to make your Instagram efforts stress-free.